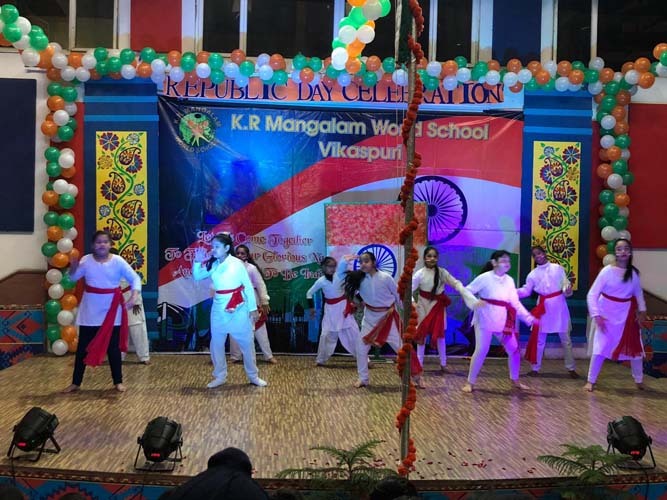 The students of K.R.Mangalam World School, Vikaspuri celebrated the 70th Republic Day with great enthusiasm. 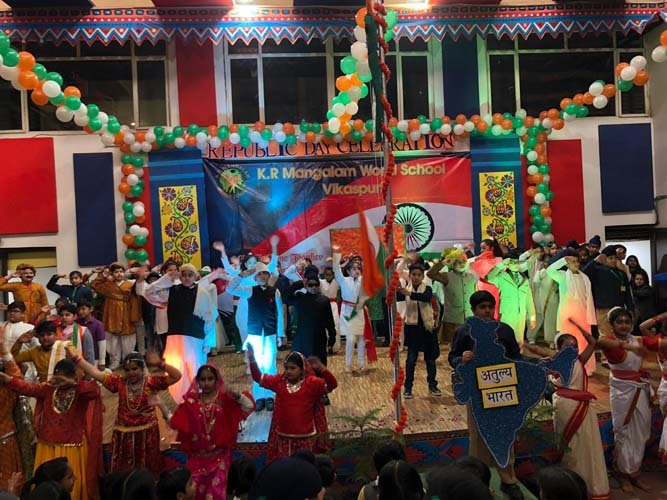 To mark this august occasion, an assembly was organised on 25 January 2019. 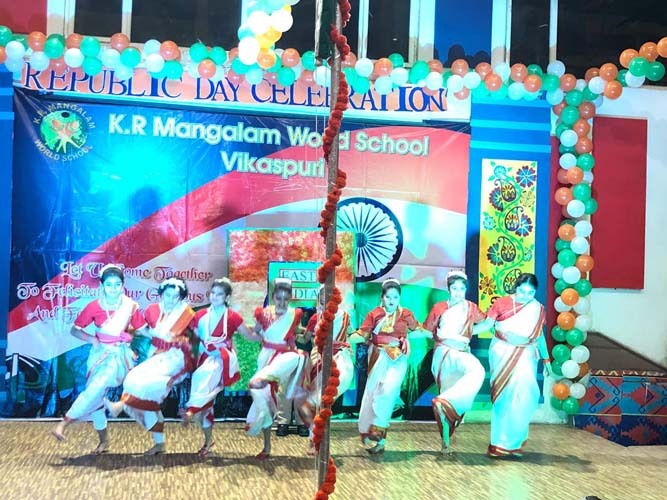 The worthy PTA members graced the occasion.The programme started with the National Song, Vande Mataram’ and the prayer. 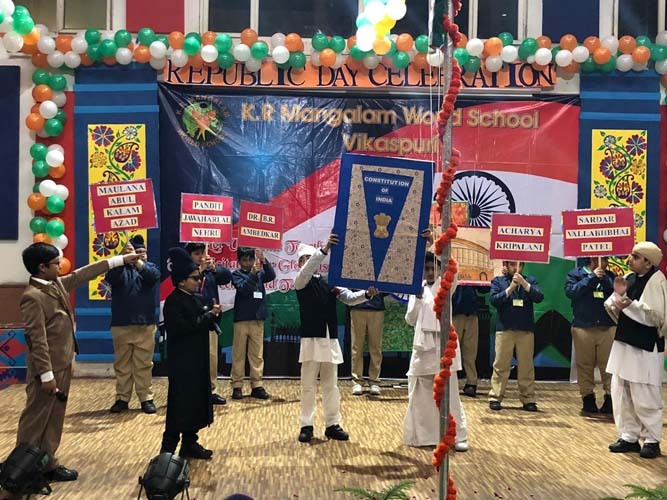 The National flag was unfurled by the honourable Principal, Ms.Priya Arora, who administered the oath to the students. 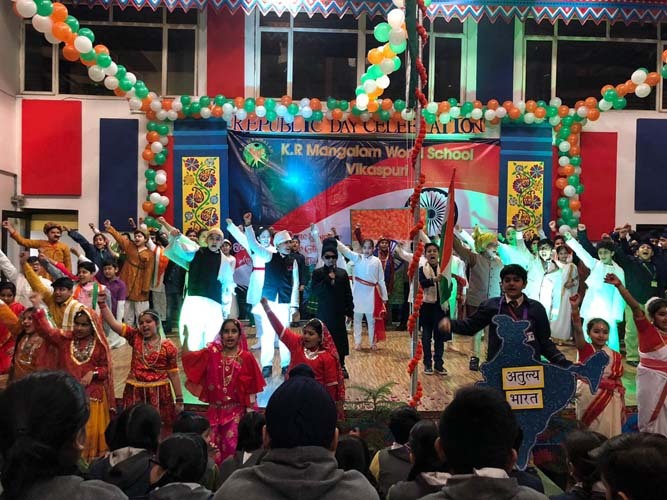 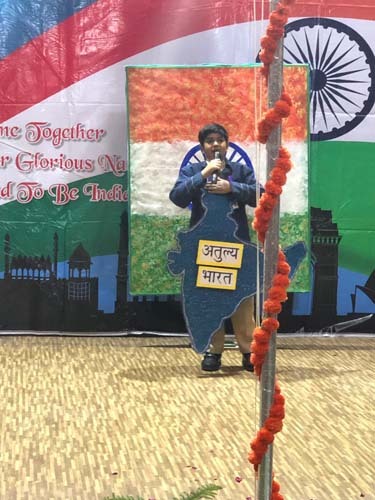 They pledged to uphold the honour and integrity of the nation.This was followed by an enthralling presentation, -‘Atulya Bharat’ by the students of class V. Through the presentation, the students brought to fore the rich cultural heritage of India.Their performance held the audience in awe. 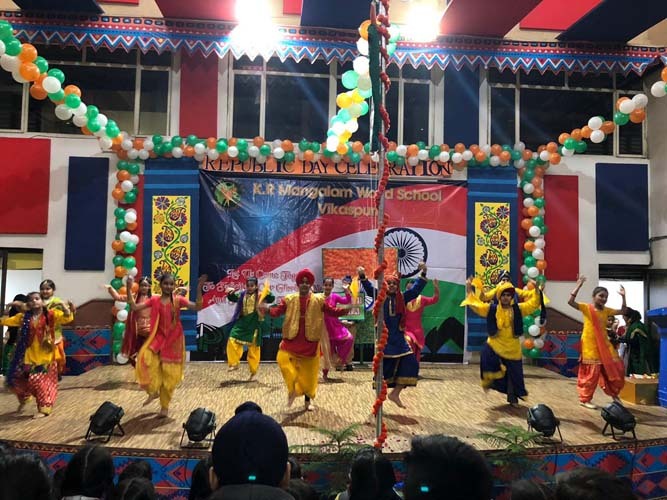 Meritorious students were also awarded for their achievement in various fields. 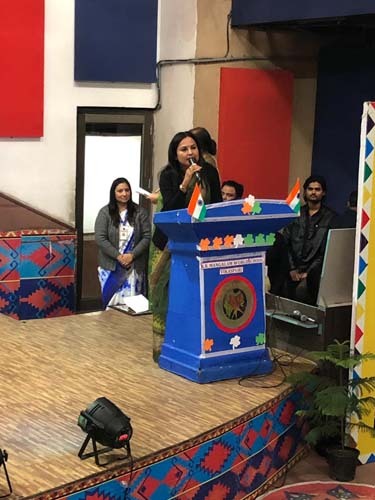 The Principal, Ms.Priya Arora addressed the gathering and extended her felicitations to all students, parents and teachers. 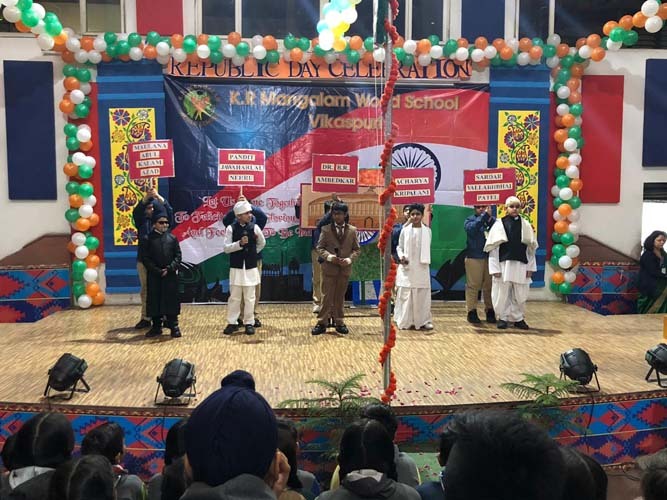 She also urged everyone to remember their duties along with their rights.The patriotic fervour warmed up the cold winter morning as the school enthusiastically celebrated the glorious day.